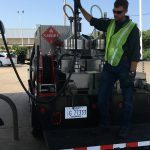 The purpose of the Petroleum Products Inspection Division is to insure that the people who purchase petroleum products and motor fuels get the amount that they pay for as well as the quality they expect. 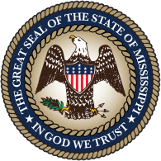 Duties responsible under the law include: calibration checks of petroleum pumps; sampling of petroleum products, and regulating 2,900 approved retail outlets throughout Mississippi. In addition, all petroleum products sold in the state must be registered with the Department.